Multilateral development banks – the EBRD, EIB and World Bank Group – supported 82 hydropower plants across Southeast Europe with €727 million in investments. Most projects, especially the small ones, are carried out by domestic companies. Of projects involving foreign investment, Austria and Italy are the most frequently represented. Biodiversity-rich areas are not adequately protected from hydropower development. Nearly a third of all projects are planned or operated in protected areas. Transparency and due diligence. Some public financing channeled through intermediaries remains hidden, despite its sizeable volume, and is subjected to less scrutiny than other public funds. Commercial financing is largely unchecked and difficult to control. The banks need to improve the implementation of their environmental policies and in some cases the policies themselves, as well as disclosing which projects they plan to finance. In the last two decades Southeast Europe (SEE) has experienced a wave of hydropower projects. Bulgaria moved fastest to hand out concessions on small rivers and streams in the late 1990s and early 2000s and was then joined by others. Albania has been the most active in this regard, awarding 183 concessions for no less than 524 hydropower plants since 2002. The negative social and environmental consequences in Bulgaria and Albania unfortunately did not cause other countries in the region to learn from their experiences. In recent years have seen an upsurge in construction in Bosnia and Herzegovina, Kosovo, Macedonia, Montenegro and Serbia. In spite of the damage already done, there is much that can be prevented: over 1 000 plants still lack financing. Projects with support from commercial banks make up the largest group with identified financing. This is probably still an underestimate because information on commercial bank financing is not readily available to the public. Altogether we identified 158 greenfield projects with financing from commercial banks, 55 of which appear to be in protected areas. This number includes 35 projects financed via credit lines provided by the EIB, EBRD and IFC. The most frequent commercial hydropower financiers identified were Austria’s Erste Group and Italy’s Unicredit Group with 28 loans each. At least 82 plants have been financed by multilateral development banks since 2005. 37 of them are in protected areas or internationally recognised areas of high biodiversity value. The European Bank for Reconstruction and Development (EBRD) has been the most important actor (at least 61 greenfield plants supported with at least EUR 126 million). The European Investment Bank (EIB) has provided the largest amount of financing by volume (EUR 445 million for 11 plants). Recognising the damage being done to Southeast Europe’s unique biodiversity by hydropower, in recent years the European development banks have tightened their environmental policies somewhat with regard to this sector, however more still needs to be done to take account of the poor environmental governance standards in many of their countries of operation. In 2018-2019, the EBRD and EIB will review their environmental and public information policies, while the EIB will draw up guidelines for hydropower lending and financial intermediaries. This provides an ideal opportunity to introduce clear no-go zones and to tighten up environmental and disclosure standards for their financial intermediaries. Even if the MDBs are not involved in each and every project in the region, they are usually seen as trend-setters. Their moves are usually followed by other financiers, so stopping financing in a particular sector or in certain areas would send a strong signal to other investors to do the same. 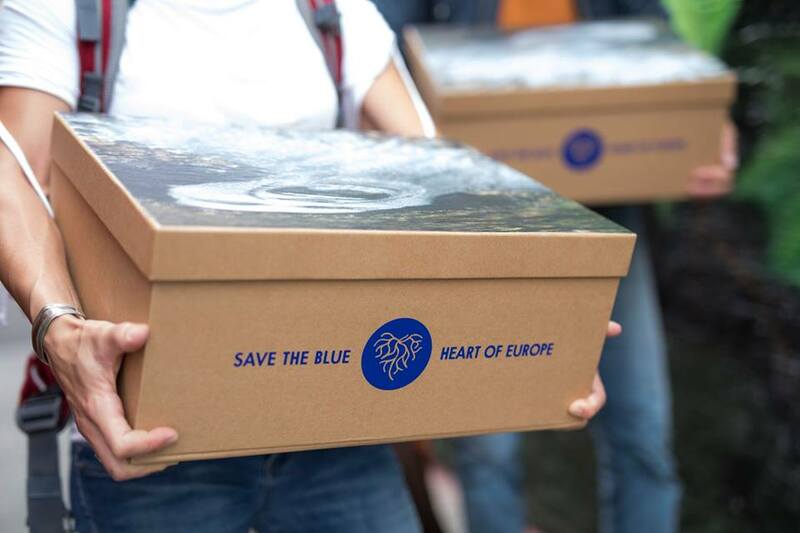 Representatives from the Save the Blue Heart of Europe handed in to the EBRD a petition endorsed globally by more than 120,000 people, calling on international development banks to rein in financial support for hydropower projects in the Balkans. As a result, the EBRD has committed to modify its performance requirement for financial intermediaries. Overall, the dynamics vary in each country. While countries like Montenegro, Slovenia and Croatia are mainly planning a smaller number of larger projects within the next few years, the craze for building hydropower plants even on very small streams continues in Albania, Macedonia and Bosnia-Herzegovina, and looks like it is picking up speed in Serbia and Kosovo. Adopt and/or better implement hydropower sustainability criteria and establish clear no-go zones in protected areas and rivers of outstanding quality. Publish project information about hydropower projects (and others with a clear environmental impact) which are financed through financial intermediaries. Require good quality environmental impact assessments for all hydropower projects including those financed through financial intermediaries and irrespective of the size of the plants. Embrace their role in stimulating local economic development by financing only those projects which have passed through strict environmental due diligence. Understand their responsibility goes beyond financial services their effect on nature and local communities. Open up to affected communities and relevant civil society groups by proactively seeking to communicate with them. Where not yet existing, establish sustainability criteria and standards to ensure responsible financing of renewable energy; if existing update them to include protected and valuable natural areas as no-go zones. Diversify their energy policies to make greater use of energy savings, solar and appropriately-sited wind potential. Adopt system scale planning on the river basin or regional level for decision-making on hydropower. Shift away from planning led by projects to planning led by needs. Establish clear no-go zones in protected areas and rivers of outstanding quality. 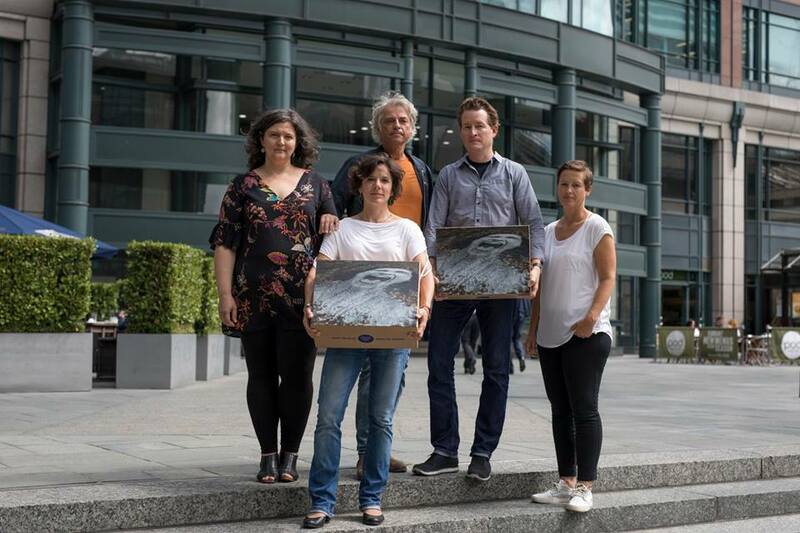 Where not done already, transpose and implement the Birds and Habitats Directives and Water Framework Directive. Require good quality environmental impact assessments for all hydropower projects, irrespective of their size. Publish up-to-date project information about hydropower plants in a central registry. Prioritise energy efficiency and diversification of renewable energy sources in its work in the region. 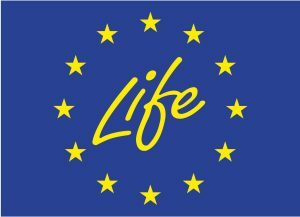 Provide increased assistance to countries in transposing and implementing the Birds and Habitats Directives and Water Framework Directive and in researching baseline biodiversity, hydrology and water quality in the countries. Use its influence in the international financial institutions to block support for environmentally harmful hydropower projects. Refrain from endorsing any greenfield hydropower projects as priority investment projects until the biodiversity, water quality and hydrology baseline data in the region is significantly improved. Support the countries to develop no-go zones. Continue to pay attention to the issue of inappropriate hydropower development when assessing accession countries’ progress towards the EU. Ensure that EU state aid rules designed to encourage renewable energy do not allow subsidies for hydropower in sensitive areas. Pay increased attention to the quality of Strategic Environmental Assessments and Environmental Impact Assessments and public consultation processes in relation to hydropower projects. Ensure that the implementation of EU state aid rules regarding the energy sector is speeded up to avoid undue subsidies for hydropower in sensitive areas. 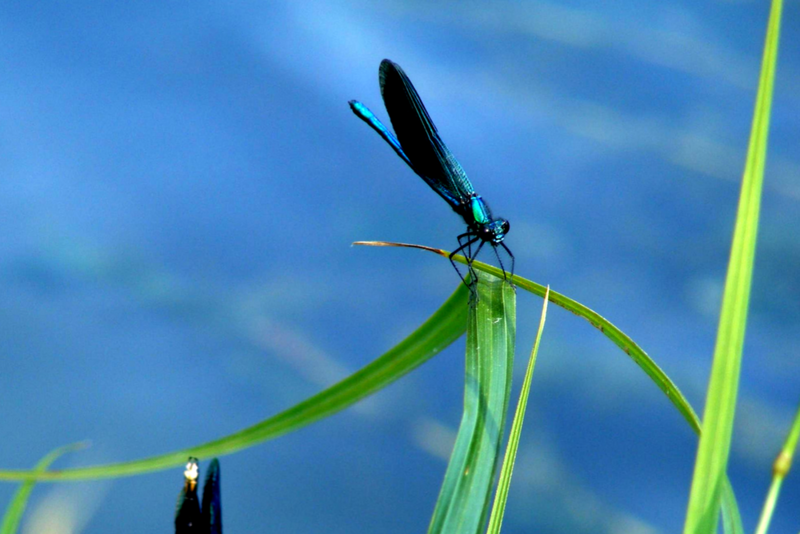 Consider how elements of the Birds and Habitats Directives and Water Framework Directive could be adapted to the Energy Community Treaty to reduce the negative impact of hydropower projects. Participate in the upcoming EBRD and EIB policy revision processes to ensure that the banks disclose all hydropower financing including through financial intermediaries and improve their sustainability criteria including no-go zones. Work to ensure that subsidy regimes in the countries open up to solar energy and stop incentivising uncontrolled hydropower development. Take co-ordinated action to approach commercial banks and ask them to disclose project information and adopt sustainability criteria including no-go zones. Continue working together to refine and update the database created for this project.